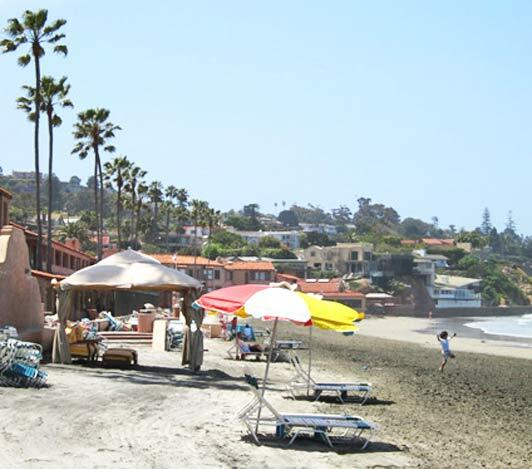 The La Jolla Beach & Tennis Club is a resort hotel as well as a private club. 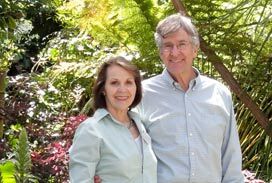 This will come as a surprise to most San Diegans – and even some of my fellow La Jollans – but the La Jolla Beach and Tennis Club is a hotel, as well as an exclusive private club. In fact, the B&T’s 98 rooms are very popular with guests who enjoy being in a cul de sac at the south end of La Jolla Shores Beach, where there is very little “through traffic.” All California beaches are public to the mean high tide line, but above that line this one is private, which means alcohol can be served. The Club was founded in 1935 and is known for its 12 championship tennis courts, on which tournaments are held from time-to-time. The 25-yard heated pool, fitness center, 9-hole par 3 golf course, rose garden, two massage rooms, and three restaurants are also big draws. Having said that, the beach is still the most popular attraction. Food service, umbrellas, and lounge chairs are all provided, and swimmers are safe from kayakers inside a roped-off area. After dinner, members and guests gather around fireplaces that take the chill off cool San Diego nights. Like its neighbor the La Jolla Shores Hotel, the La Jolla Beach & Tennis Club is very kid-friendly. Santa and the Easter Bunny visit on their respective holidays. Turtles, ducks, and swans live in a pond near the playground, and the beach hut serves great burgers. Kayak rentals, surf lessons and a variety of restaurants are available in the La Jolla Shores area. Almost all rooms have complete kitchens or kitchenettes, and all come with wi-fi, robes, safes, iHome docks, flatscreen TVs, and DVD players. If you make reservations, you might want to consider that the beachfront rooms have just been redecorated, and A/C was recently added to non-beachfront rooms. The Beach & Tennis Club is a beloved La Jolla institution for the 1,300 or so families who are members and the savvy travelers who choose to stay here – and then return year after year. Click here to see more images of La Jolla. Click here if you need help planning your trip to La Jolla.